If you wander into a Lowe’s, you’ll be greeted by rows of smart-home products. It’s had its own line since 2012, now called Iris by Lowe’s, and today it’s announcing its second-generation system. That means a new hub with a faster processor, more memory, and Bluetooth capabilities on top of its compatibility with ZigBee, Z-Wave, Wi-Fi, and AllJoyn-enabled devices. Lowe’s is also rolling out new starter kits that don’t require users to buy the $60 hub each time. It’s also letting existing hub owners upgrade for free. 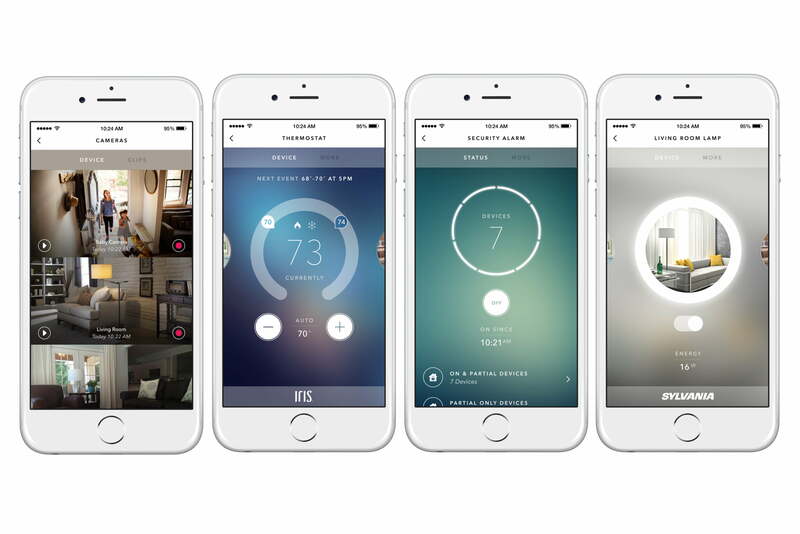 Additionally, Lowe’s has redesigned the app experience — which used to be secondary to the website homeowners could use to control their smart-home system. “It’s just going to make Iris more simple, more intuitive. and more personalized, Mick Koster, vice president and general manager of Iris, tells Digital Trends. Now, if you turn on a light through the app, the app lights up to. If you use the dimmer, the app brightens as well. You can also upload photos of your home, devices, and family members to personalize the experience, so you’re not always interacting with text that says “lamp.” “It feels and looks exactly like your house,” says Koster. What hasn’t changed is that Lowe’s is still charging $10 a month for its premium service. You can still do basic functions for free — like controlling devices remotely, streaming video, and receiving notifications — but certain features require the upgrade. More than one user can receive notifications and instead of merely streaming video, events can be captured and recorded. There isn’t anything on the premium list other services aren’t offering for free, but Koster says Lowe’s is backed by the trust its gained from its customers. And as the service grows, more premium features, like the ability to schedule individual devices and see their history (like a list of times the door was unlocked, for example), get ported over to the free version. With the second generation of the Iris system comes the promise of a more Amazon-like experience. Just as the retail giant wants to use Dash Replenishment Service to deliver you goods before you realize you need them, Lowe’s see a day when your smart refrigerator reminds you to order a new filter every few months. It can already do that for smoke alarm batteries, but taking it to the next level will involve smarter products. If you had something like the Edyn Smart Garden Sensor, it could tell you not only when you should fertilize but the best type for your particular region and plants. Using its partnership with Porch.com could also one day make repair visits less painful. If your smart home knows something is amiss with your water heater, it could order the right part and find you someone to install it from Porch’s network of professionals. “That’s the type of thing that smart devices are really going to help consumers make their lives easier, just by giving them all that rich data right back in a way that’s to manage and easy to consume,” says Koster.